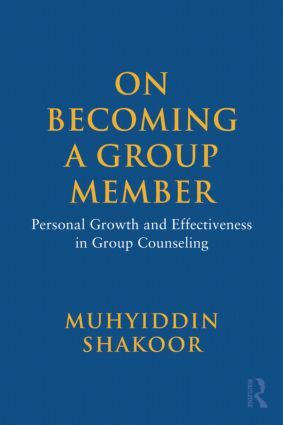 This book provides an introduction to the general landscape of group counseling by way of the idea that learning to be an effective group member is essential to becoming a group leader. Interactive scenarios place the reader right into the group, providing insights into the challenges and opportunities of participation. Each chapter explores a different stage of group work and concludes with useful suggestions and tips for having a successful experience. Throughout the book, an emphasis is placed on member development and personal growth being achieved through self-awareness, interpersonal experiences, and dynamic ways of being. Cultural diversity, ethics and confidentiality, and involvement strategies and skills are also discussed. With its unique, practical, and engaging approach, this book will be invaluable to counseling students as an excellent complement to the theory and research on group counseling.